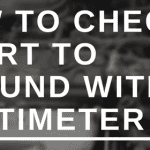 Home » BLOG » How to measure engine RPM with a multimeter? How to measure engine RPM with a multimeter? RPM stands for Revolutions Per Minute and is a great way to see know how hard your engine is working. The most common way to test for RPM is by using a tachometer, however, many of us don’t have this around the house. We do, however, often have multimeters which we can create a workaround to test for this. What are the best multimeters for this test? This is not a standard test done with a multimeter and thus you should use all protective gear including eye cover and electrical gloves. When doing this test, we are using the multimeters ability to detect the RPM signals via a wire and taking advantage of the high level of electromagnetic interference produced by the ignition systems. 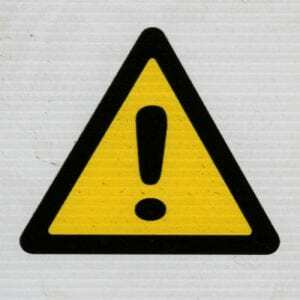 With that said, the spark plug wires, in general, have a very high level of voltage so caution is extremely advised. How do to the test? The first thing you need to do is remove both the red and black leads (the cords) from the device and set them aside. Next, take the wire and remove about an inch of the rubber insulation from one end of it so that it’s bare. Then take bare wire and bed it halfway so that it is a bit thicker into a U-shape. Insert the U-shape bare wire into the red socket. It will stick up straight out of the device. On your Multimeter select the setting to “HZ” so that it can measure frequency. Start your vehicle’s engine and let it run for a minute. After a minute grab your multimeter and with the long wire sticking out from it move the wire close enough to the spark plug wire but do not let them touch. As you do the test above, your multimeter will show results on the screen. You’ll need to write down these results. They will be shown to you in hertz(frequency) but you still need to convert them to get RPM. The results shown will show you the pulses per second but RPM will need a simple calculation x60 to get the actual RPM. If your Multimeter shows you 21 as the Hz then multiplied by 60 gives you 1260 as the RPM. If your Multimeter shows you 25 as the Hz then multiplied by 60 gives you 1500 as the RPM. There’s a well-known issue in some 2/4 stroke engines which is called a wasted spark which makes the results of any frequency test show twice the amount that’s needed. While there are ways around this to change it, the best suggested solution is if your results look to be double the expected, then just divide by 2. If the test does not seem to be working, sometimes the length of the wire has been an issue in which I was able to shorten or lengthen it a bit. Also, the thickness of the wire often became an issue which trying a thinner metal wire worked better depending on the engine. Give it some time and play around with it a bit and you’ll get it to work out in the end. How to measure car engine rpm (Best way to measure engine rpm)? You can measure car engine RPM in two ways. The first one is with a tachometer. It is the easiest way, but there is also room for mistake when doing this because tachometers can sometimes be not so reliable. 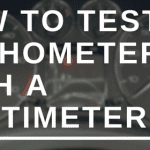 If your tachometer is broken or you suspect that it gives out false readings, you can replace the tachometer with a new one and use the new one to measure rotations per minute. However, this can be an unreliable method because the source of the false readings could be in something else. You can also use an automotive multimeter to measure car engine RPM. In the case that the first two tests prove inconclusive, this will definitely help you to pinpoint the cause of the problem and to repair it, or if that proves to be impossible, to replace it. Measuring car RPM with a multimeter does require a bit of knowledge, but you can find everything you need in the article above. Automotive multimeters are accurate, and even the cheaper models will give you readings that are more accurate than an average tachometer. Even if your tachometer proves to be in order, it would be a good thing to test the RPM with a multimeter from time to time. How to measure motorcycle engine rpm? You could measure motorcycle engine RPM with a multimeter, or with a tachometer. Some motorcycles come with a plug that makes it possible for the user to add a high accuracy tachometer. If your motorcycle doesn’t have that plug, don’t attempt to install the tachometer by yourself because you risk serious injury if are not exactly sure what are you doing, both while doing that and when driving a vehicle that was modified in that way. You can use an automotive multimeter to measure motorcycle engine RPM. Basically, the whole process is almost entirely the same as with car engines. The article above can provide you with excellent information on that subject. Since motorcycle drivers need more accuracy when it comes to tachometers, tachometers made for use on motorcycles are designed and built to be more accurate than those built for cars. It is easier to measure motorcycle engine RPM with a tachometer, but tachometers on motorcycles can become inaccurate too, so that leaves you the possibility to do this with a multimeter. Other than that, motorcycle engines operate in the same way as car engines do, and the entire process should be the same. If you get confused, you can always contact a car mechanic. What does engine RPM actually measure? To measure RPM means to measure rotations per minute. Every internal combustion engine works by injecting small amounts of gas into a cylinder. The inside of the cylinder is a vacuumed space. When gas is injected, it is lit up by a spark, and since gas is usually supplemented with small amounts of oxidizer, it explodes. When a drop of gas explodes in a cylinder, large amounts of force are released. The cylinder is built so that force has nowhere to move, except up, and in an upper (or lower part, depending on the engine) part is another movable cylinder. The force from the explosion moves that cylinder up, and that force the moves the crankshaft. Crankshaft rotates and translates the force to the wheels, and that makes it possible for the car move. Rotations that the crankshaft produces (all vehicles have more than one crankshaft) are measured because they are an indicator of any problems, and there could be a variety of them. A difference in rotations per minute can mean that gas is not oxidized enough, or of good quality, that the cylinder isn’t lubricated, that a screw has loosened up on the crankshaft, literally, a million things could be the problem. Since rotations per minute are an excellent indicator of the state of the vehicle, it is important to monitor them yourself, or at a licensed car mechanic. How does rpm affect car performance? For a detailed explanation of the term rotations per minute, and to get some context on how an internal combustion engine works, please check out the paragraph under the’ What does engine RPM actually measure?’ question. If you have read that, let’s continue on. RPM can affect car performance in a variety of ways. The most important, and most common vehicle feature affected by rotations per minute is the acceleration of the vehicle. Basically, if RPM is too low, the vehicle won’t move. And that’s about it when it comes to low RPM. In cases where the RPM is too high, a lot of things could happen. The vehicle could become overresponsive, there’s even a slight chance that the engine could explode, but don’t worry, in most cases, it will overheat, and smoke will start to come out from under the hood of your car. I will use the example of the smoke to explain this in greater detail. The smoke won’t come from too many rotations, but from the cause of too many rotations and the cause can be overpotent fuel, or more commonly, an old engine that lost the state of vacuum in the cylinder. Since additional oxygen from the outside comes in, it causes more potent explosions, the cylinder can’t handle that, and the smoke has to come out because it has nowhere else to go. How to measure engine rpm without a tachometer? It is easiest to measure rotations per minute with the tachometer, but if your tachometer is broken, or you think that there is a problem in regards to the tachometer’s accuracy originating from somewhere in between the tachometer and the engine, you can always use a multimeter. The article entitled ‘How to measure engine RPM with a multimeter’ will help you in regards to that. Automotive multimeters are truly an excellent choice when it comes to measuring engine RPM, be it on your car on your motorcycle, if you know how to do it right, the results will be better than if you had seen the result on a tachometer, especially if you have had one of those tachometers that didn’t show the precise value, but had the rotating dial instead. If you are concerned about your safety, you don’t have to be. When it comes to the danger of electric shock, in most cases, there isn’t any, but you check for your model online, just to be certain. If you are thinking that there could maybe damage your engine, that’s a possibility, especially if you don’t have any experience. Follow the article describing that in the letter, and if you are still not certain, it would be better if you would contact a professional than cause a car crash. If using a multimeter to measure RPMs on a 4-stroke engine (without ‘wasted-spark’) you need to multiply the reading by 120. That is 60 seconds per minute (cycles-per-second or Hz to revolutions-per-minute or RPMs) and times 2 as the spark plug only fires every 2 revolutions. One comment, in the video on how to measure RPM with a multimeter, you did not actually show measurement using a multimeter. The device you demonstrated was an RPM meter, specifically a Wireless Tachometer Model # 1082 by Dixson. I would like to see this with the multimeter.